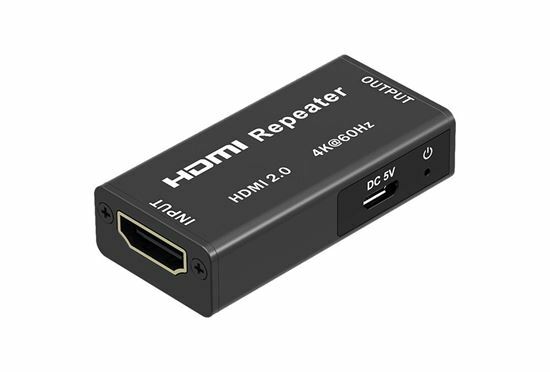 LENKENG HDMI2.0 Repeater Extender. Supports resolution up to ultra HD 4Kx2K@60Hz. Extend HDMI cables beyond the 20m. Plug and play. The mini HDMI repeater uses the latest technology to form a new standard HDMI signal by decoding and re-encoding. The regenerated HDMI signal can be transmitted over long distances without any loss of picture or sound quality. It will transmit HDMI signal up to 25m at 4K2K@60Hz and 4K2K@30Hz at 30m. The LKV168-4K is a great solution for conference rooms, education, home entertainment, etc.